Is a herd of pedigree Lincoln Reds. 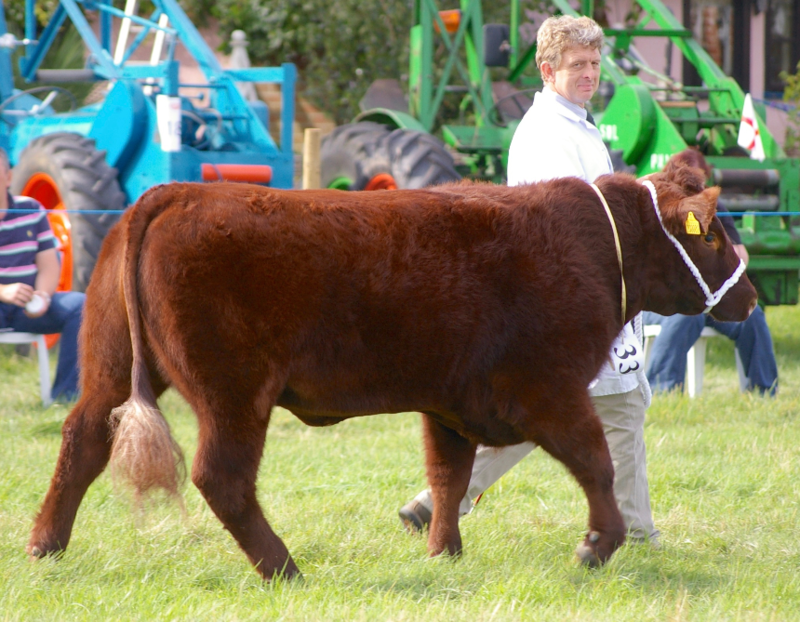 The breed developed from cattle brought to the East of England by viking invaders. They are reknowned for being easy to handle, hardy, long lived, easy calving and good mothers. This makes them an excellent suckler cow. The meat is succulent and tasty making it very sought after. So much so it has been sold at Harrods!! The Belstead herd was started in 2010. Our foundation cows were from the excellent stock of RG Parkinson & Sons of Donington on Bain, Lincolnshire, Robin's childhood home. Our first bull, Anwick Debonair was from CL Bembrige's Anwick herd which has also done so much to promote this lovely breed. He has now been replaced with Market Stainton Kinsman from reknowned breeders Robert & John Needham. Hadleigh Show 2016 a practice!